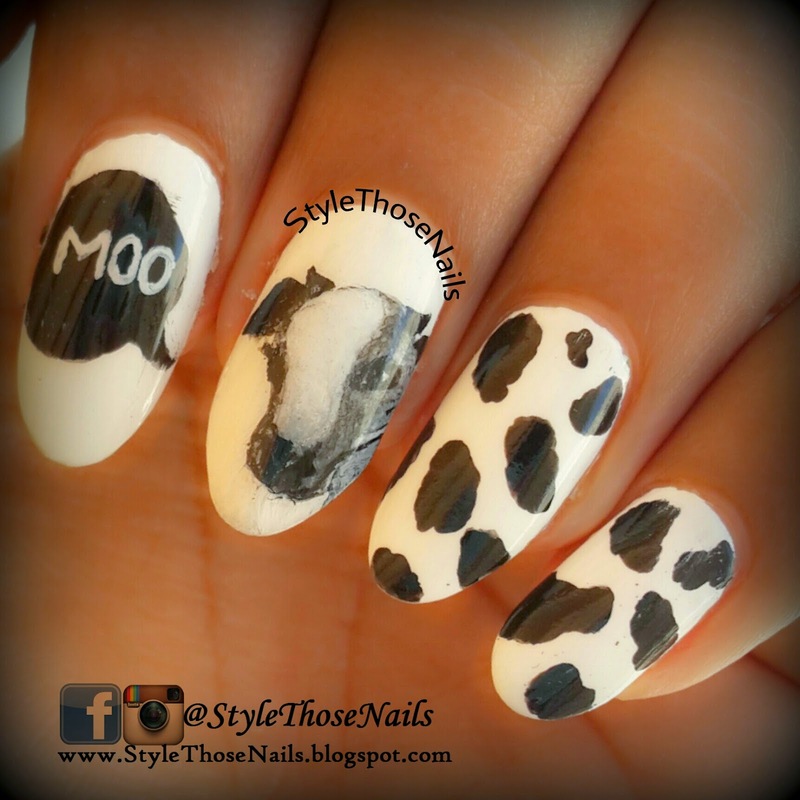 Style Those Nails: Cow in the Pasture- Animal Print Nails ! How are you doing? 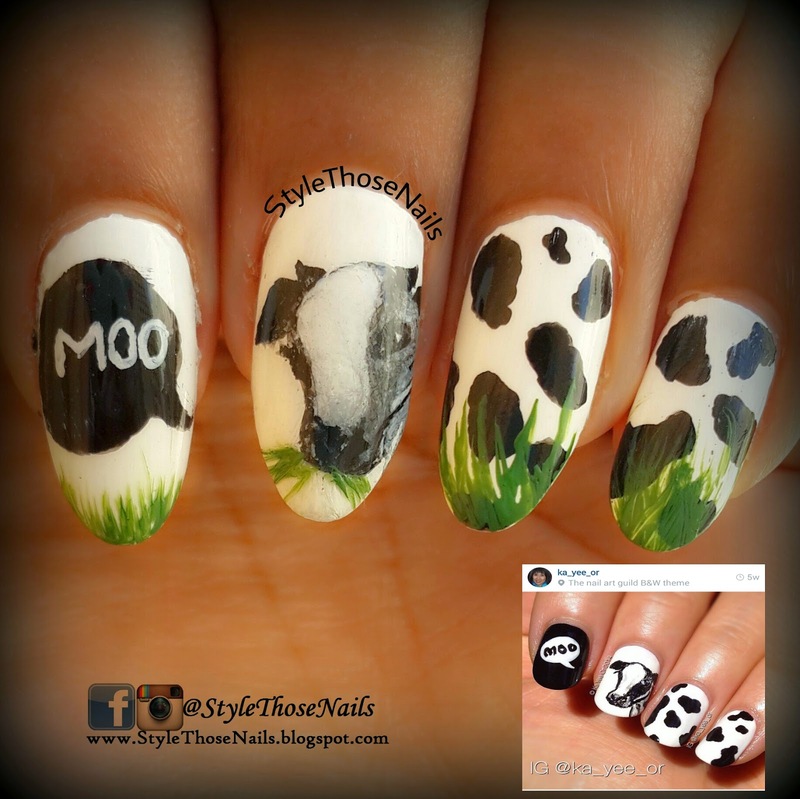 Today I am sharing another nailart for #52WPNMC. The prompt is domestic animal or three shades of blue. I decided to go for domestic animal. 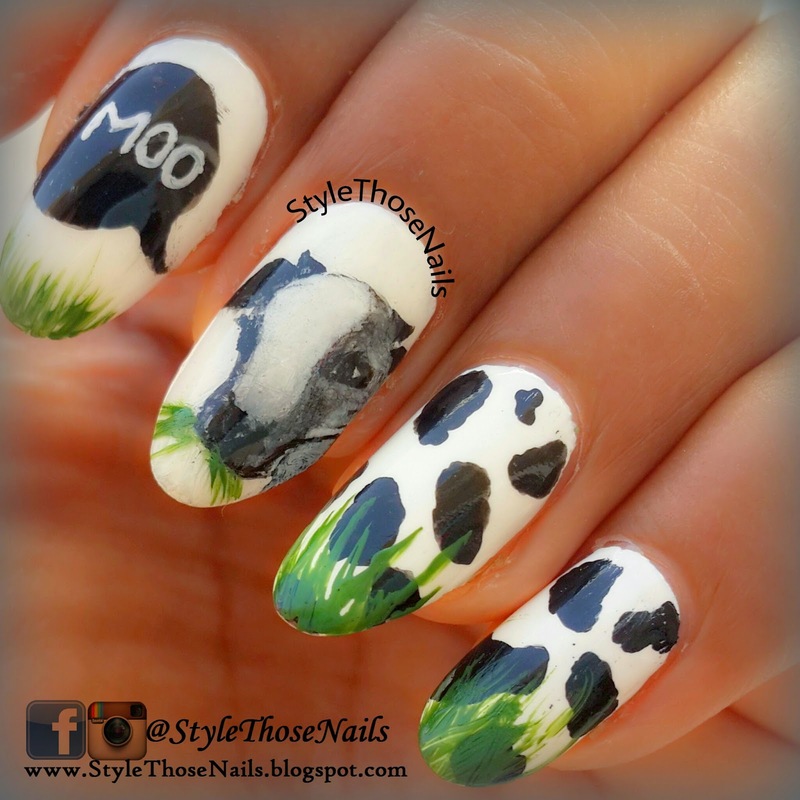 I thought to make Cow - the most cherished domestic animal in India :) For this I took inspiration actually I copied :P from Ka Yee Or on instagram. Let's have a look. I have recorded the tutorial also so stay tuned as I will share it in my next post. Yon can subscribe to my Youtube too for new videos. Do share your thoughts with me about this post. 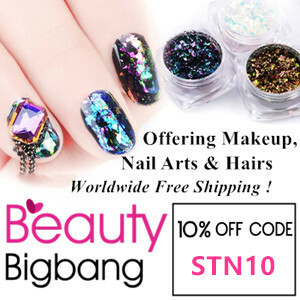 Have a look at other beautiful manicures below.